Our Pergolas are more than just a pretty face! Many builders only use pergolas in their designs for solely cosmetic reasons. It is true that pergolas add dimension, vertical interest, and aesthetics to an outdoor living space. However, there is more to Archadeck of Austin’s pergolas than just a pretty face. Our pergolas are designed to not only add beauty but to add privacy, shade, protection from the elements and even help anchor your outdoor living area. The versatility and benefits of an Austin pergola are truly endless…. A pergola offers much potential to providing shade depending on the specifications of its design. This is based on the distance between the cross beams that cover the upper portion of the pergola. The construction of the pergola can be made more conducive to providing shade through the spacing between the cross beams located atop the pergola and by using wider rafters in the pergola design. The closer the beams are set, or the wider the rafters, the more sun protection your pergola will offer. All of these factors are influenced by the intended placement of your pergola in correlation to the direction and amount of sunlight your location receives. Archadeck of Austin can build your pergola with increased sun protection in mind while keeping the original design of your pergola intact. This may include integration of a Polygal cover into the design, curtains or blinds as we have many options available which can be customized to bring the most shade and comfort to your pergola addition. 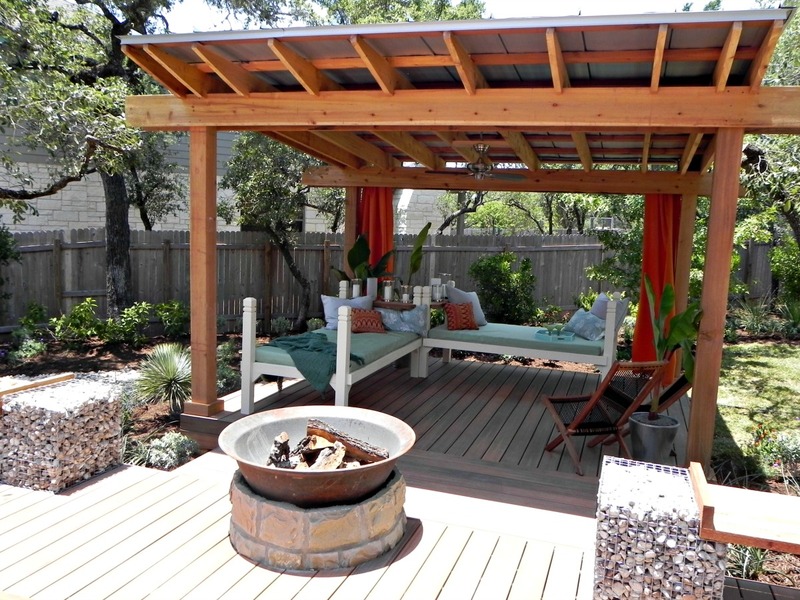 You can learn more about the shade and protection benefits of our shade pergolas and other Austin shade structures in our blog titled: Austin covered spaces provide benefits beyond outdoor living enjoyment!. Our pergola designs can be designed as open and airy for those who want to take advantage of an abundance of natural light and gentle breezes OR fully covered for those seeking solar relief as the ultimate shade retreat. Archadeck of Austin combined contemporary lines with natural stone, metal, wood, and fire elements, in this Zen-like pergola design that services as soothing backyard retreat. Yes, we even custom designed and built the amazing table to accompany the outdoor living space. This outdoor living space shows the talent and versatility of our design team! Visit our extensive pergola photo gallery located on our website, or contact us today at at (515) 259-8282 or via email at [email protected].